Today’s App Review is Fluency Finder by Lantz, Glass and Gaskins, LLC. As an ESOL (English as a Second Language) Teacher I never really know what stage my students are in their learning when they start. Students are usually varied between those that can read, write and speak English but not accurately. Some students can speak but not read and others can read and write but not speak. This App is a great help during the initial screening process and can be used after too. 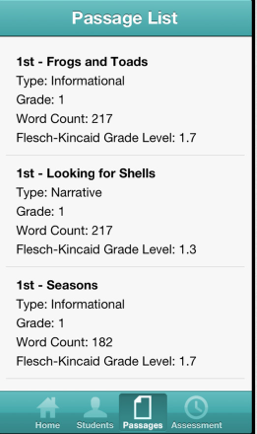 Fluency finder tracks a students progress and means all records are right there on your device which cuts down on mass amounts of paper work. 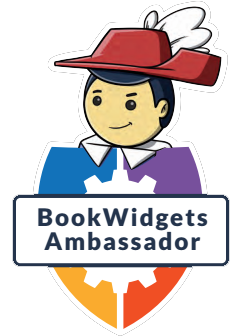 To begin all you have to do is add students to the App and select an appropriate passage for them to read. This can be read from a device or you can print a copy. As the student begins to read the App times them and you can mark any mistakes they make on your device. By tapping + you indicate a student makes a mistake and – indicates that the student corrected their own mistake. After tapping finish you automatically see the results. There are different fluency levels and you can measure readings from 60-175 words per minute so it is easy to find a speed that would suit an individual student. I have found this App to be a massive asset to my class and really enjoyed seeing the comparisons between the initial recorded results and the results in the classes final week. The App does cost $6.99 but is great for what you get and it can be downloaded from HERE.